You are here: Home / Archives for ESSEN TECH CO. LTD.
[INQ. NO. 1508M12] Essen Tech, the world-leading manufacturer of various brass valves and components, has been professionally producing a wide range of brass products including specialized valves for HVAC industry as well as those for the construction, motor and gas industries. Essen Tech offers the most reliable and efficient refrigerant ball valves maintaining and repairing of A/C and refrigeration systems. These valves are commanding a high ranking in the U.S.A and the EU in market share, fully being delivered to global enterprises of Carrefour, Tesco, and Walmart after its release without any customers’ claims for 5~6 years. The valves’ impressive features are: supporting full range sizes from 1/4” to 3- 1/8”(ODF model); maximum working pressure of 700psig (48bar, 49kg/cm2); working temperature range of -40°F (-40°C) ~ 300°F (150°C);compatible with CFC, HCFC and HFC refrigerants; UL/cUL listed and CE certified; supporting bi-directional application; welded body joint and improved internal parts design to guarantee leak-free performance; 100% Helium tested at maximum design pressure; and robust brass body and cap design with extended copper fittings and optional access fittings. After acquiring several certifications such as ISO9001, UL, CE, and RoHS, Essen Tech has recently aggressively advanced into the giant global markets of the Americas, Europe, and Asia. As part of its bid to broaden its global presence, the company is strengthening its business relationships with numerous global enterprises such as Emerson, Parker (Sporlan), Samsung, LG, Trane, Haier-Carrier, Honeywell, Henry, and Siemens. [INQ. NO. 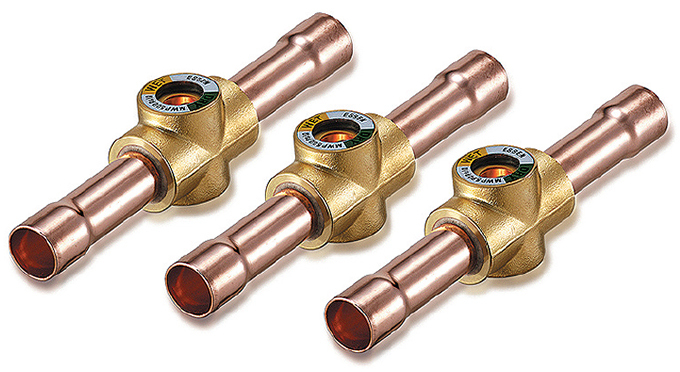 1501M02] Essen Tech, the world-leading manufacturer of various brass valves and components, has been professionally producing a wide range of brass products including specialized valves for HVAC industry as well as those for the construction, motor and gas industries. [INQ. NO. 1412M09] Essen Tech, the world-leading manufacturer of various brass valves and components, has been professionally producing a wide range of brass products including specialized valves for HVAC industry as well as those for the construction, motor and gas industries. The valves’ impressive features are: supporting full range sizes from 1/4” to 3- 1/8”(ODF model); maximum working pressure of 700psig (48bar, 49kg/cm2); working temperature range of – 40°F (-40°C) ~ 300°F (150°C) ; compatible with CFC, HCFC and HFC refrigerants; UL/cUL listed and CE certified; supporting bi-directional application; welded body joint and improved internal parts design to guarantee leak-free performance; 100% Helium tested at maximum design pressure; and robust brass body and cap design with extended copper fittings and optional access fittings. 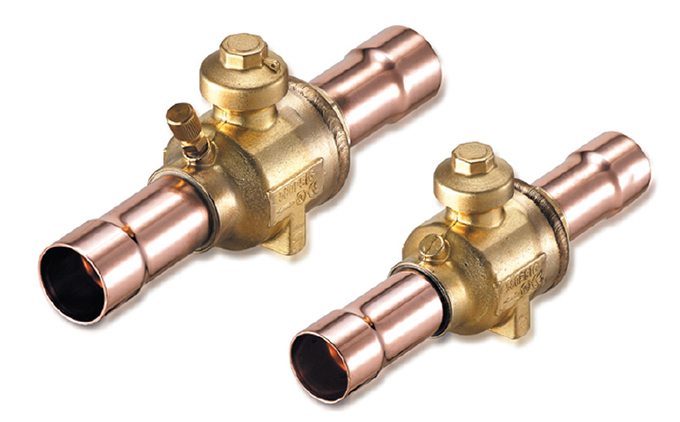 Essen Tech, the world-leading manufacturer of various brass valves and components, has been professionally producing a wide range of brass products including specialized valves for HVAC industry as well as those for the construction, motor and gas industries. The valves’ impressive features are: supporting full range sizes from 1/4” to 3 – 1/8”(ODF model); maximum working pressure of 700psig (48bar, 49kg/cm2); working temperature range of -40°F (-40°C) ~ 300°F (150°C);compatible with CFC, HCFC and HFC refrigerants; UL/cUL-listed and CE-certified; supporting bi-directional application; welded body joint and improved internal parts design to guarantee leak-free performance; 100% Helium tested at maximum design pressure; and robust brass body and cap design with extended copper fittings and optional access fittings. [INQ. NO. 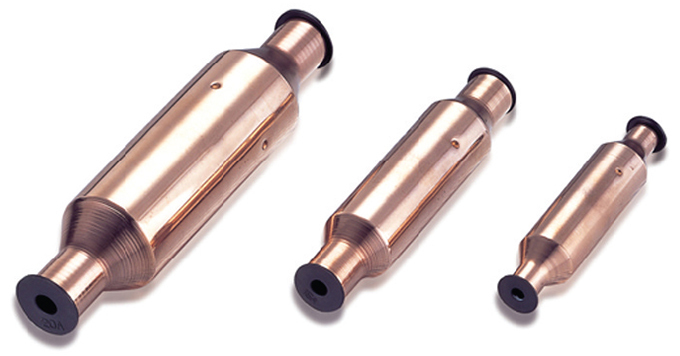 1401M12] A global leading manufacturer of various brass and components, Essen Tech has been manufacturing a wider range of brass products including specialized valves for HVACR industry as well as those for the construction, motor and gas industries. Essen Tech offers the most reliable and competitive refrigerant ball valves by maintaining and repairing cutting-edge A/C and refrigeration systems. Those valves are commanding a high ranking in the U.S and the EU in market share through their delivery to global enterprises of Carrefour, Tesco, and Walmart after their release without any customers’ claims for 5~6 years. The refrigerant ball valves support full range of sizes from 1/4” to 3-1/8”(ODF model) and maximum working pressure of 700 psig (48bar, 49kg/cm2). Maintaining working temperature range of 40°F (- 40°C) ~ 300°F (150°C), they are compatible with CFC, HCFC and HFC refrigerants. UL/cUL listed and CE certified those products support bi-directional application. To guarantee leak-free performance, design of welded body joint and improved internal parts is available. For higher performance, they are tested by 100% helium at maximum design pressure. 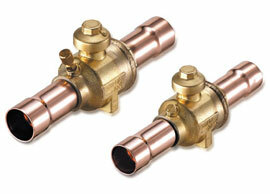 With extended copper fittings and optional access fittings enable robust brass body and cap design is also supported. With several certifications acquired such as ISO9001, UL, CE, and RoHS, Essen Tech is enjoying gradually expanded global markets into the US, the EU, and Asia. Equipped with the integrated production lines from raw materials to the finished products, Essen Tech outperforms rivals in the world market with strengthened competitiveness. Essen Tech is establishing and maintaining global business relationship with numerous global enterprises such as Emerson, Parker (Sporlan), Samsung, LG, Trane, Haier- Carrier, Honeywell, Henry, and Siemens.